One of the first things I notice when entering a room for the first time is the lighting. 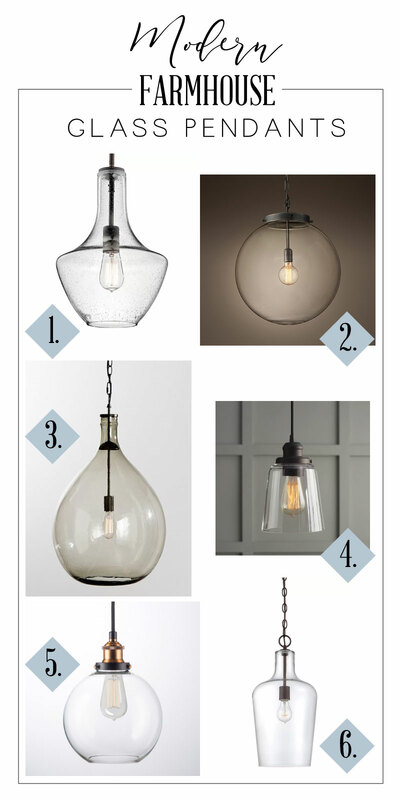 I have a clear and present obsession with light fixtures and feel like they can either make or break a space. The downside to this love affair with light fixtures is how expensive lighting can be. When B and I were finally ready to start designing our kitchen, one of the very first things I started researching was lighting for over our future island. The island is going to be the center of the new kitchen so I really wanted the light fixture or fixtures to be special and make a statement without taking away from the other elements in the room. As much as I always worry about the farmhouse style being trendy, many of the elements that make up a modern farmhouse style really are the same things that B and I have always gravitated toward. (We installed “shiplap” above our fireplace long before we even knew what “shiplap” was.) So in the end, we forgot about styles and trends and went with what we loved but when it came to lighting, it was hard for me to decide what I loved the most. 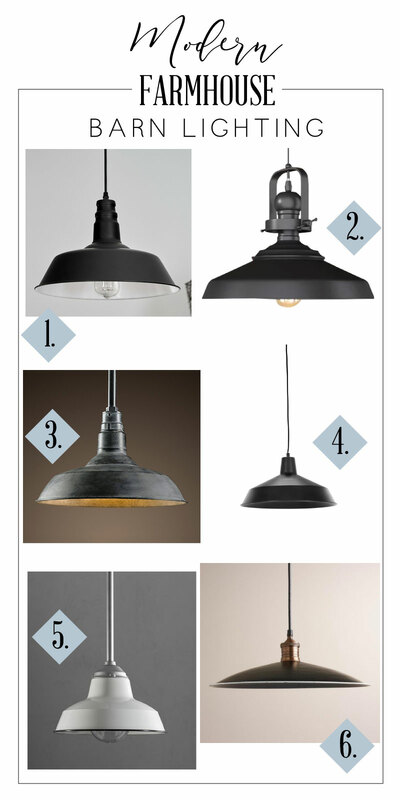 Today I’m sharing some of my favorite light fixtures perfect for over an island that are perfect for that modern farmhouse style I love so much. When it comes to dome pendants or what is sometimes referred to as inverted bowl pendants, options range from sleek, simple and modern to ornate or polished. This is a look that you can’t go wrong with. Lanterns are everywhere right now and I think one of the reasons why is because they seem to fit any style. 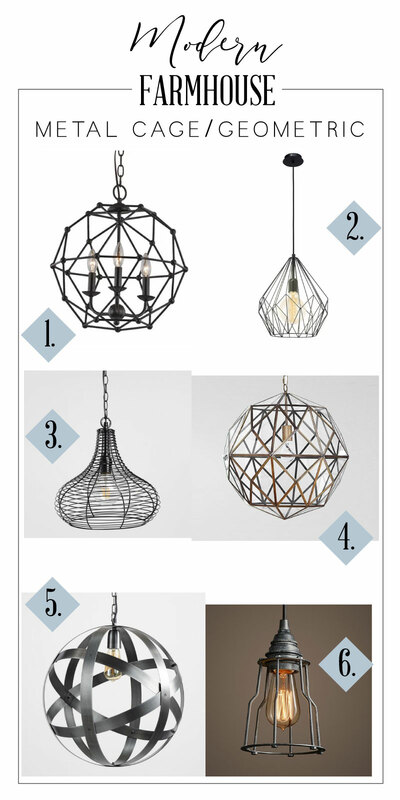 Just like with the dome pendants, you can go with anything from ornate to simple and anywhere in between. If we didn’t already have a lantern that was in the dining room already, I would have gone this route without question. 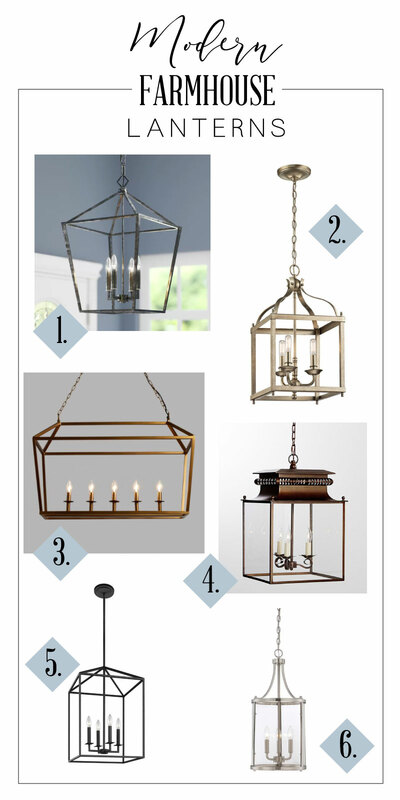 We’ll be moving our lantern fixture into the family room so I didn’t want the same light fixtures in both rooms. Glass pendants are a great option because they are beautiful and can be very interesting while still feeling open. The last thing you want your island lighting to do is obstruct your view. Glass pendants, especially one with a beautiful shape, can really feel special without feeling too heavy. Because the ceilings in our kitchen and dining room are lower than everywhere else in the house, I seriously considered going this route. If your style is true farmhouse style then barn lights are the way to go. I still tried to seek out some more unique options for a few examples but wanted to stay true to this look because it really is what I think of most when thinking of a more casual, farmhouse style. Bonus: Most of these options are super inexpensive! When it comes to this style of lighting there are so many fun and unique options it could be its own post. From funky and modern to rustic or industrial, there are endless options. I’ll give you a hint, one of the options shown is just like what we picked for our kitchen. 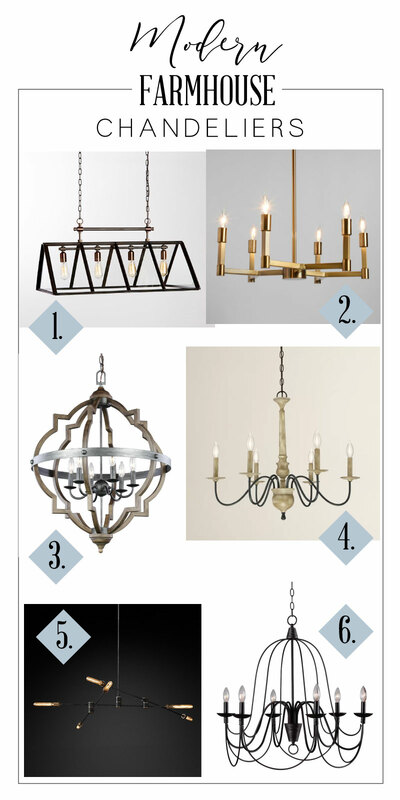 When it comes to picking lighting for over an island, don’t rule out a chandelier. It is a bit more unexpected and can really add some personality and character to the room especially if most of the other elements in the room are simple. Just make sure you have the ceiling height to accommodate a large fixture. Like with the other options, I tried to show a variety of looks from super minimal and modern feeling to more rustic yet they would all work in a modern farmhouse style kitchen. 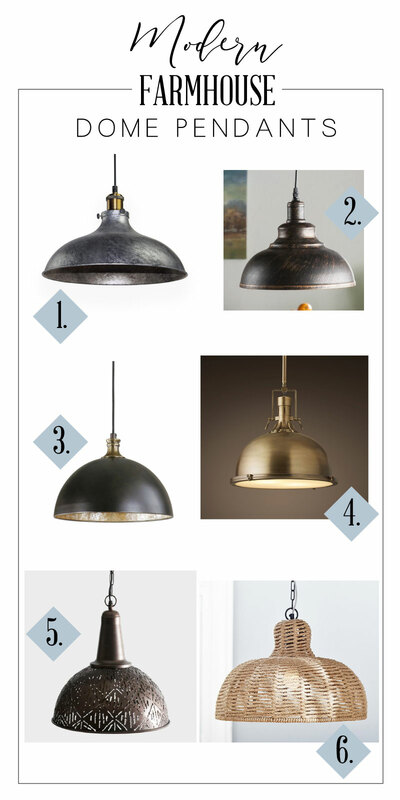 If you are looking for lighting for over your kitchen island that fits in that modern farmhouse style, I hope that I have at least given you some options to consider. I’d love to know if you have a favorite or if there is something that I missed for this post. Leave a comment below and let me know.